John Serry (b. 1954) was nominated for a Grammy [Best Instrumental Arrangement] for his composition, Sabotage, on his debut album, “Exhibition” (Chrysalis, 1979). His second album, “Jazziz” (Chrysalis, 1980), received 4 stars in Downbeat, feature review of the month in Keyboard magazine and it inspired the naming of JAZZIZ magazine by its publisher. In 1995, John was awarded the Grand Prize in the JAZZIZ magazine Keyboards on Fire pianist/composer competition (Dave Brubeck and Bob James, judges; grand piano from Steinway.) 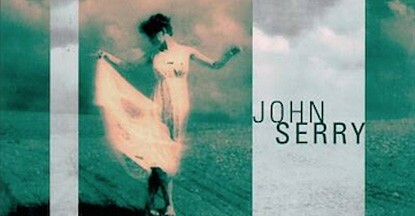 John Serry’s CD, “Enchantress” (Telarc, 1996), was well received: “He has a strong sense of melody, his touch is confident, his ideas are sensible and his playing is beautifully controlled ” –Downbeat “What a pleasure to find that he is back, still turning out charts that turn heads by turning corners.” –Keyboard. “Serry’s fleet fingered runs on songs like the jaunty, catchy “DYT it” are both technically impressive and subtle… Serry’s ballads are equally disarming… Listen and prepare to be enchanted.” –JazzTimes. Serry has performed at Birdland, the Blue Note, the Montreux Festival, the 606 Club (London), Covent Garden (featured on BBC “Jazz Legends Live”), Steinway Hall and numerous festivals, clubs and venues in the U.S and abroad. Players which have appeared in his groups and recordings include John Riley, Peter Erskine, Carlos Vega, Anthony Jackson, Jimmy Johnson, Bob Sheppard, Gerry Niewood, Ted Nash, Mike Sembello, and Barry Finnerty, among others. His CD, The Shift (SPCo Records, 2013), with his London quartet, Dave O’Higgins – sax, Mark Mondesir – drums, Sam Burgess – bass / Mike Mondesir – elec. bass, is available at CD Baby http://cdbaby.com/cd/johnserry, iTunes, Amazon.com, Google Play and Facebook facebook.com/johnserry1 (Shop Now button). Download the first track, Pockets, free at https://www.dropbox.com/s/t1ti19w39a8jkwu/1.POCKETSmp3.mp3. “Serry returns to the studio in top form on The Shift (SPCo)…The leadoff track,“Pockets,” our selection, showcases the ensemble’s esprit de corps, as they wend their way through the lilting composition. Serry’s playing is as colorful and expressive as ever.” –JAZZIZ magazine (Summer 2013 issue). 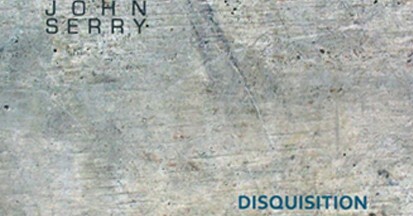 His new album, Disquisition (SPCo Records, 2017) – a trio album with Paolo Ghetti bass and Bruno Farinelli drums – is available at CD Baby http://cdbaby.com/cd/johnserry2, iTunes, Amazon, Google Play, Facebook www.facebook.com/johnserry1 (Shop Now button) and other outlets. “…Disquisition (SPCo), reveals a tight unit that thinks and acts as one. In the company of bassist Paolo Ghetti and drummer Bruno Farinelli, Serry revisits a few older compositions and offers some new tunes. Among the latter is the title track, our selection, a strong statement that begins with crashing, McCoy Tyner-esque chords and Elvin Jones-like splashing and moves into bluesy and introspective sections.” –Jazziz magazine (Spring 2018 issue, Jazziz on Disc). John has lived in Europe since 2004 – London, Spain, Prague, Germany, Italy, France. John wrote and recorded music for commercials and documentaries in New York in the 1990s. He composed, orchestrated and produced music for documentaries, television and corporate films in Los Angeles in the 1980s and played sessions there for television and film in the late 1970s. He has sometimes played with well known artists, e.g., piano with Patty Austin, BBC Big Band, Doc Severinsen, Kyle Eastwood and percussion with Liza Minnelli, Aretha Franklin. He toured and recorded as pianist/composer with Auracle (1978 LP, Glider, co-produced by Teo Macero.) He has arranged music for artists and sountracks (e.g., The Canadian Brass Gabrielli and Monteverdi CD, Marian McPartland, network television movies and series) and was nominated as an arranger for a Grammy (Sabotage from the 1979 John Serry LP, Exhibition.) He played in several shows on Broadway (e.g., Cats, Les Miserables, Saturday Night Fever), the West End (London) and on tour in the U.S and Europe, and has conducted at Radio City Music Hall and was Music Director (at Gateway Playhouse) for Swing, as well as for university productions of Kiss Me Kate and Three Penny Opera. John has received commissions, performances (Lincoln Center, Kennedy Center) and an award (Percussive Arts Society) for his classical compositions most of which feature percussion, including solos, duos, a percussion ensemble and 2 concertos. The most recent is Groundlines, commissioned by an international consortium of marimba soloists and premiered (Ji Hye Jung) at Percussive Arts Society International Convention 2010. 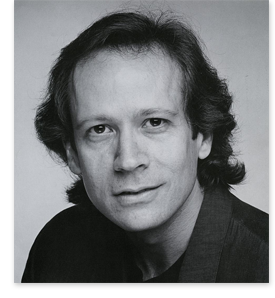 He has taught piano, composition, jazz improvisation, and other subjects as Professor, clinician, workshop/master class instructor, and ensemble coach at numerous university music schools and conservatories, including Juilliard, Peabody, Musicians Institute (L.A.), Royal Academy (London), University of South Carolina (Director of Jazz), Brooklyn College, Queens College, CCNY (Manhattan), Wichita State University, James Madison University, University of Wisconsin, and Music Academy 2000 (Bologna, Italy.) He has BM (with Distinction) and MM degrees from the Eastman School of Music (Profs. Bill Dobbins, Chuck Mangione, John Beck, Rayburn Wright; workshops/concerts with Joe Farrell, Keith Jarrett, Bill Watrous.) John is a native New Yorker, an art enthusiast and frequent traveler. Serry routinely rips through stylistic changes with energy and finesse to burn…at his best, John Serry can do it all…a flair for dexterous melodies …a triumph.